Dennis Muren is a legend. His name may not be familiar, but you know his work if you’ve ever flown through the trenches of the Death Star in Star Wars, been entranced by the magic of Willow, or watched in awe as dinosaurs walked the Earth once again in Jurassic Park. Muren is one of the legacy members of Industrial Light & Magic, the special effects company created by George Lucas that transformed blockbuster cinema forever. Now a Creative Director at ILM, Muren continues to help design and execute special effects for Hollywood’s biggest movies — although it may not be as groundbreaking as it once was. RELATED: ‘Jurassic Park 3D’: Do Eye-Popping Re-Releases Work? Of course, everything changed with the advent of computer graphics and Muren’s work on Willow remains a milestone of those breakthroughs. 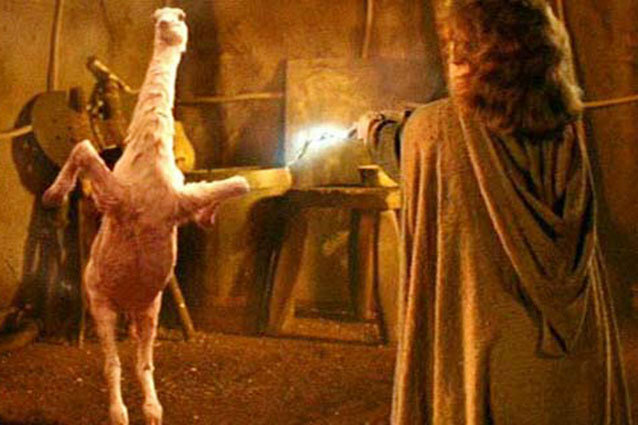 The film’s “morphing” scene, where Willow uses an incantation to transform sorceress Fin Raziel from an ostrich to a turtle to a tiger to her human form, was a moment where stars aligned at ILM. Around 1979, Lucas set up the company’s computer graphics division. Over many years, the team developed a system that would allow for the digitization of film into computers, the manipulation of that footage by effects artists, and then a system that could output back on to film for use in the finished product. When it came time for Willow, Muren’s team was finally to put the “known tools” aside and embrace the new technology. With new installments of Star Wars and Jurassic Park on the horizon (the latter on which Muren currently is not involved), ILM will once again be tasked with realizing the otherworldly visions of directors Colin Trevorrow and J.J. Abrams. Muren couldn’t say if there was anything on the level of “morphing” in the works at behind ILM’s closed doors, but he does see CGI becoming a peak standard much like the effects of the ’80s. What won’t change are Muren’s accomplishments from the past. Check out his work in Willow, currently out on Blu-ray, and Jurassic Park 3D, in theaters now.